on a historic Southern rice plantation, Myrtle Beach is the place for you. To top it all off, Myrtle Beach’s climate is perfect for the year round golfer. With summer temperature’s cooled by ocean breezes, and winter freezes nearly non-existent, the numerous courses offer year round play that few golf destinations can match. top course and has played host to over six PGA Senior Tour Championships and two USGA National Championships, and in September 2010 it appeared among Golf Magazine’s Top 100 golf courses in the nation. Other local courses include Caledonia Golf and Fish Club, which is located on a historic rice plantation and offers a genuine plantation clubhouse surrounded by centuries old live oak trees. 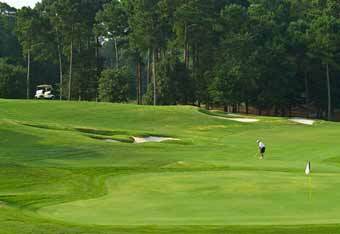 Like the Dunes, Caledonia has also been recognized in Golf Magazine's Top 100 and is ranked the 3rd best golf course in South Carolina. offers a unique challenge. It is designed to emulate some of world’s most unique golf holes in its three unique nine-hole layouts. Just a few of the courses that are represented at The World Tour are: Bayhill, TPC Sawgrass, St. Andrews, Doral, Jupiter Hills, Wentworth, Seminole, and four holes from the Augusta National, including the courses notorious "amen corner." been built in 1927. The designer of the course was the first president of the American PGA, Robert White. Having been completely restored to reflect the needs of the modern player, Pine Lakes offers nine holes of conventional golf, and it reserves the back nine to reflect the sport as it was during the roaring '20's. 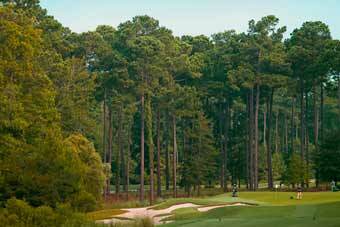 Last but not least among this short list of Myrtle Beach golf courses is The Players Club of Myrtle Beach. With its tour-like feel, TPC stands as one of the toughest courses in the area. 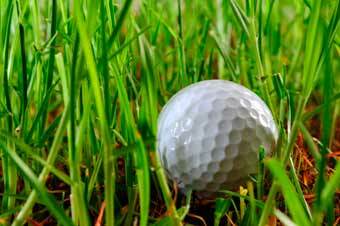 Perhaps that is why it is continuously chosen to be played by some of the world’s greatest professional golfers. PGA Tour player Dustin Johnson, who lives in Myrtle Beach, considers it his favorite local course. Of course, these are just a few of Myrtle Beach's golf courses. There are countless more that have not been mentioned, and golf is just one of the many attractions that makes Myrtle Beach a thriving tourist hot spot. With a healthy combination of golf, entertainment and southern hospitality, who can resist a getaway at what is arguably the nation's #1 golf destination.